Dishoom is a truly first-class (award-winning!) Place to work; we’re humbled to have been voted as #36 best company to work for in the times top 100. We pride ourselves on offering our people the very best culture & work environment, as well as industry leading training & benefits. You’ll be responsible for the smooth running of the bar; keeping all stations fully stocked & ensuring the bartenders have everything they need to create perfect drinks for our guests. Your winning smile & exceptional bar chat will welcome our guests warmly into our world, making them feel at ease & ensuring they leave happy. With an eager sense of curiosity & minimum experience required, we’ll hone & develop your skills on the bar. The standards are high, the pace is fast, & there’s never a dull moment. Because you’re the best at what you do & work so hard, we’ll pay you accordingly. You’ll be working amongst the best in the business & our comprehensive training programmes will take you wherever you want to go. We have a genuine commitment to supporting you & your career development. All of this makes Dishoom a place where smart, big-hearted, motivated people can truly flourish. Here at Dishoom, above all, we believe in selfless service. This means that as well as nurturing you to be the best you can be, we’re dedicated to making the world a better place. Our Bombay café heritage means we’re open every day from breakfast until late, & you’ll see people from all walks of life drinking & dining here. For every meal eaten in one of our restaurants, we also give a meal to child that would otherwise go hungry in the UK & India. We really care about making Dishoom an awesome place to work & have some of the very best team events & benefits around. Team get-togethers every other week. Free staff meals when you’re on shift. Christmas day, boxing day & New Year’s Day off. 2nd January off for our legendary Christmas knees-up. 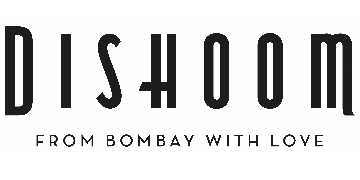 50% discount for you & up to 5 friends before 5pm at all Dishoom cafés & 25% discount after 5pm. Access to a huge discount network saving you money on everything from flights to groceries.